Features: CSS drop menus, Youtube video, social icons, homepage jQuery slideshow. Optional animation-free homepage included. 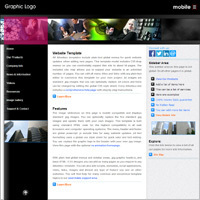 Details: HTML5 / CSS, JPG images, graphic or text logo, plain text CSS drop menus (3rd level option included). Interior design stock photos. Mobile: Includes 11 page integrated mobile website: Home, contact, services, gallery pages (with and without Paypal cart), news, PDF downloads, resources. CSS Overlay Detection: CSS for mobile automatically detects the browser width and displays an overlay link box on mobile devices. More details. HTML5 design. Plain text CSS drop down menus, Youtube video, three page Paypal shopping cart, expandable, contact form, jQuery dynamic homepage slideshow. Edit with any text or HTML editor, Notepad, TextEdit, DW, EW, etc. Works with any hosting. 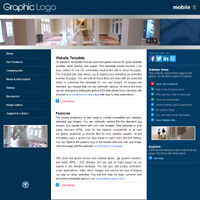 Details: HTML5 / CSS, JPG images, graphic or text logo, plain text CSS drop menus (3rd level option included). Business and human stock photos. Details: HTML5 / CSS, JPG images, graphic or text logo, plain text CSS drop menus (3rd level option included). Human and relationship stock photos. All business web templates are setup using a global plain text drop menu or menus. Can be edited for any type of website configuration. Drop menu templates include a third level option in the popout menu. A sample third level menu file is included. Drop menu business web templates are compatible in all new web browsers and can be setup using any type of hosting server including Windows server, Linux or Unix web servers. The Paypal shopping cart included in most templates can be used to display any item you would like to sell on-line. A Paypal account is free to setup. Options can be added to the Paypal buttons for sizes, colors or any other option you need. Click here for options details. Some templates may include a 2CO shopping cart. There is a small charge to setup a 2CO account. What Makes Allwebco Business Web Templates Your Best Choice? 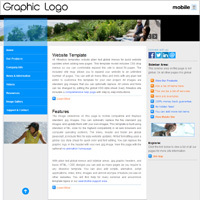 Many web template companies provide graphic dependent templates. This means that you will need advanced graphics editing knowledge to add new items to the template menu or change any template colors. Click to view our color editing support page. Other templates usually include only 2 pages, a home page and one sample subpage. Unlike Allwebco templates these are not complete websites. Contact forms may not be included. 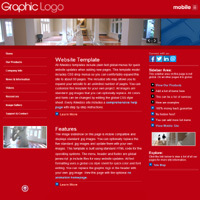 All our templates are HTML5 CSS3 templates. In general any template that is created in Flash will have two drawbacks: 1. You will need Flash software and training to edit your website. 2. Flash only websites will list poorly in search engines like Google. Flash templates include no page text for search engines to see and list. Any Allwebco template is returnable within 30 days for a full refund, any template can be upgraded at a later date with full credit for the original purchase and updates are free indefinitely. When we update any template you can request a new free download. Allwebco also offers many Free template add-ons and hundreds of pages of information in our searchable template support center. 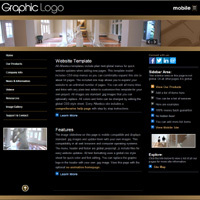 Allwebco business web templates are sold exclusively on the Allwebco Design website. Designs are not available anywhere else.